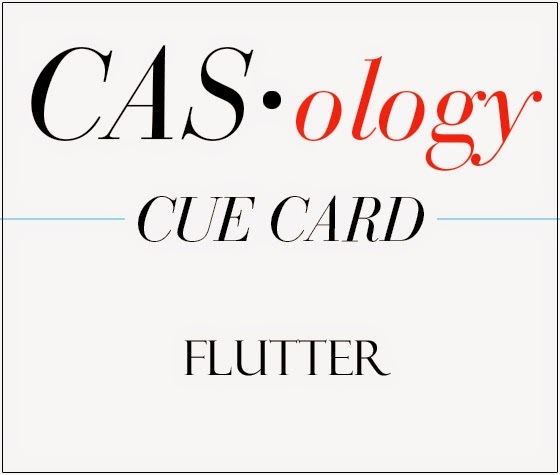 This week's CASology Cue Card is Flutter! I decided to go with a very soft and serene card using a Creatiate feather and a PTI sentiment. 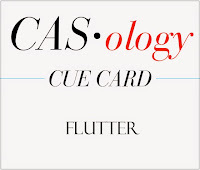 By positioning the stamped images on the card from top left to bottom right, and by turning the feather slightly, movement is created as they 'flutter' to the ground. I used soft stone and white cardstock and soft stone and granite ink. Now it's your turn - before you go, make sure to check out the blogs of the rest of the DT for more inspiration! Definitely an unexpected take on the cue card but then you always do! Love it! Such serenity in this card. Love the soft subtle colors and the motion you have created with your feathers. Brilliant interpretation of the theme and I love this card! I love the soft and gentle look to this card. The light gray is such a great colour with white. Gorgeous card. Ardyth beautiful card and the soft colour is the perfect fit. Oh this is perfect in every way Ardyth. Gorgeous! You totally captured the softness and drift of a falling feather! Your fluttering feathers are beautiful. I agree, so soft and pretty!!! This card is absolutely gorgeous. I LOVE it! Soothing, serene, and comforting! Those words popped into my wee pea brain the instant that I saw this card! The colors, the movement of the feather and the elegant simplicity of the design are breathtaking! Wow!! This is inspiring. I love your take on this challenge. So out of the box and unexpected!! Ahh...soft fluttering feathers, how beautiful!